SaaS websites can be simple as well as complex and extensive comprising either a single landing page or multiple web pages. In either case, there are important elements that each SaaS website much apply for driving conversions. Studies state individuals tend to create opinions about a website at the very instant of its loading. This depends on what they come across and thus its necessary for one to create the magic within seconds of loading. Including an attractive and user-driven value proposition on top of the page is one way of building relevance. The “Above the fold” phrase added on top must be authentic and impressive to instill curiosity amongst the users. Further, you can publicize your value prop in different manners. Evernote, for example, uses animation with rotating texts to make visitors witness the service benefits. 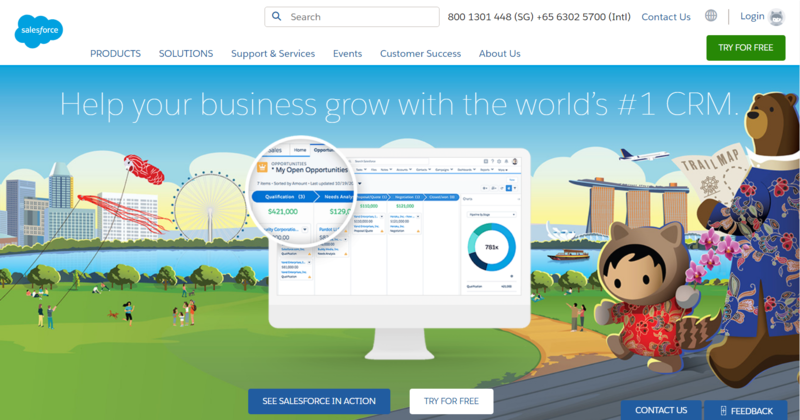 Salesforce uses value prop in a perfect way by targeting small companies. They highlight the ease, its advantages, offers readers bonus deals and includes 2 CTA buttons to further actions. Adding a section that talks about the importance of adding data may seem necessary, though having multiple facets included to it. While you need not always include images or demos, it must highlight the features descriptively. Your website must comprise of product pages for highlighting its uses, and relate them to the users on a direct platform. 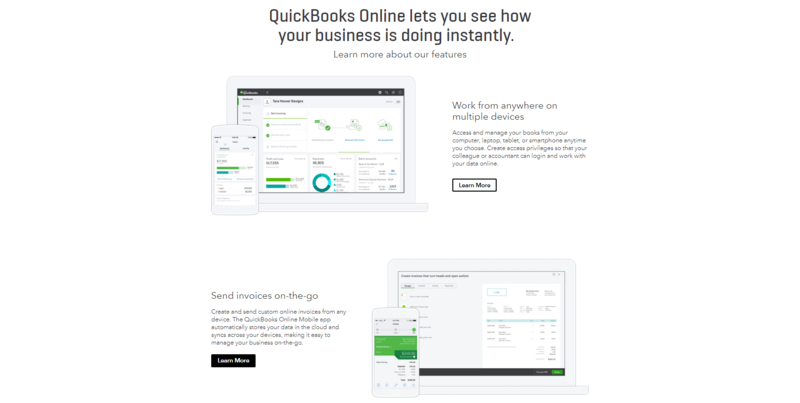 QuickBooks applies the same by demonstrating their features and SaaS in action on their homepage. These include a combination of product benefits, features and a demo of what they can expect on the dashboard. Testimonials and social proofs are always leveraging for websites. And this is where SaaS proves its mantle. The website FreshBooks uses customer quotes who testimony their services thereby adding social proof. In addition, they also chance customers to join them by including an invitation that states “Join over 10 million people using Freshbooks”. The very concept used by FreshBooks can be applied by growing SaaS companies on their websites. Sharing testimonials and user quotes aids build a social proof. It doesn’t matter if you have a huge follower count or stories from well-known users, it will lay its impact on your website. On the other hand, Slack mentions the name of well-known users who use their brand. Their headline “You’re in good company” is mentioned above well-known company logos. This assures readers that Slack considers them as important as the other big brands. It also puts across that if its worthy for the likes of Ticketmaster and Target, it will prove beneficial for others too. With SaaS, your website ties up a recurring relationship with clients. Hence its necessary to let your users know the exact price they would be paying for signup every month. Being transparent with your pricing and signup fee is a crucial ingredient of any website. However, you can turn it into a compelling conversion tool too. To ease with an example, Shopify puts across their different plans in a standardized manner. However, they ensure to add more value to these pages. Once the potential user goes through all the enlisted features and plans offered, they are able to understand its benefits. Herein Shopify eases the excitement of the customers on how to go about taking the plan. They put across to the users that, “we understand it’s difficult to choose from the many exciting plans. But do not worry. Why choose it right now? You may rather start the free trial and procrastinate about choosing the process until later. This was the very way, wherein SaaS helped pricing page drive customers towards availing free sign up. How you wish to offer free samples to your customers is completely your take, however, it must be mentioned somewhere on the site. Unlike other objects, SaaS is a dynamic and animate object. It consists of different dynamic parts, which is regularly applied, accepted and put into use by an entire team for processing websites. A demo or free trial is a potential way of letting customers try it on for different sizes of crowd. 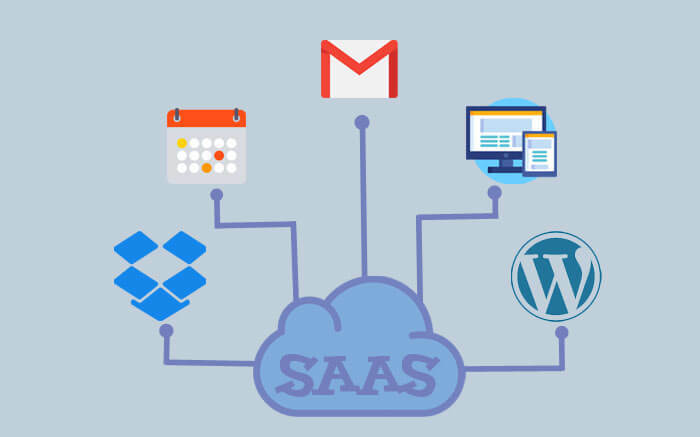 SaaS is an industry standard, which will also be acceptable for your potential customers. You can further use the cue from platforms like Shopify and use the free trial in multiple ways across the website. You can take a cue from the GoToMeeting also. They have made the process easy. On visiting the website homepage, people are diverted towards a large and enticing section making it possible for customers to sign up for the free trial. The free trail approach used by Shopify and the GoToMeeting’s strategy of eliminating the hassle in signup process prove that there are myriad of ways one can use to achieve a good result through SaaS. All words and no actions will not attract customers. Thus, a website merely comprising of information without channeling visitor’s attention to action is pointless. This is possible by adding CTA buttons. It will help capture leads, drive potential clients to your website, establish sales funnel and build a customer relationship. Unbounce used a bit unique strategy. Instead of using “See a demo” they applied “Preview the landing page builder” and “See how Unbounce can help me” for increasing the lead towards the product page. This is one such example that highlights how different ways can be used to achieve the desired results. The kind of CTA you use will depend on your brand and the tone of it. More importantly, the CTAs must be able to send across the message of your website. The CTAs should be in tandem with your goals and strategy of lead conversion. Content marketing marks an important trajectory in your inbound strategy of marketing SaaS. It thus deserves center stage in your website. Zendesk has well understood the what kind of SaaS customers different contents will attract. They know what they are looking for and thus design the varied ways of exploring a brand. This comprises webinars, research, videos, blogs, events, case studies and much more. That being said, a beautifully crafted website is also equally important. People are visually driven and given that users usually only have minutes to consume content, most people prefer a beautifully designed website to a plain website.